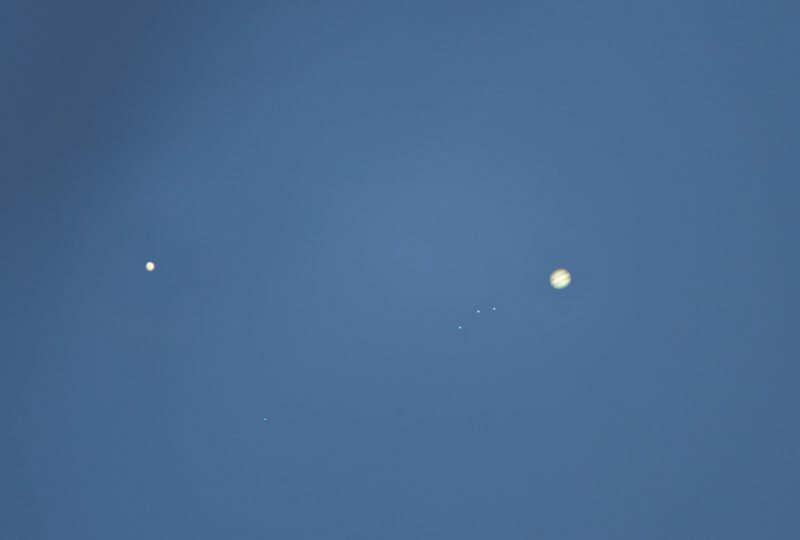 Photos and video of Venus and Jupiter! August 27, 2016 was the conjunction of Jupiter and Venus. Sky’s 2 brightest planets. Closest conjunction of any 2 planets in 2016. 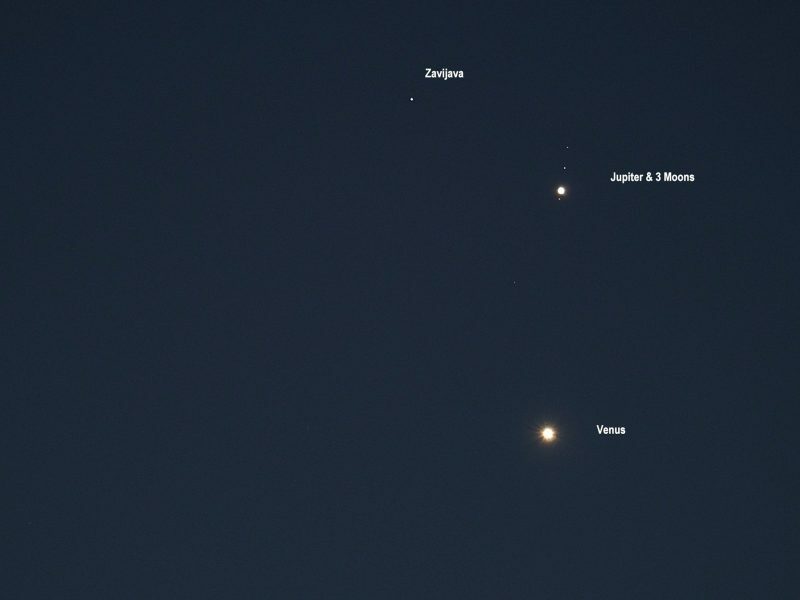 Venus and Jupiter were so bright on August 27 – and so noticeably close together – that you could see them above most cities. 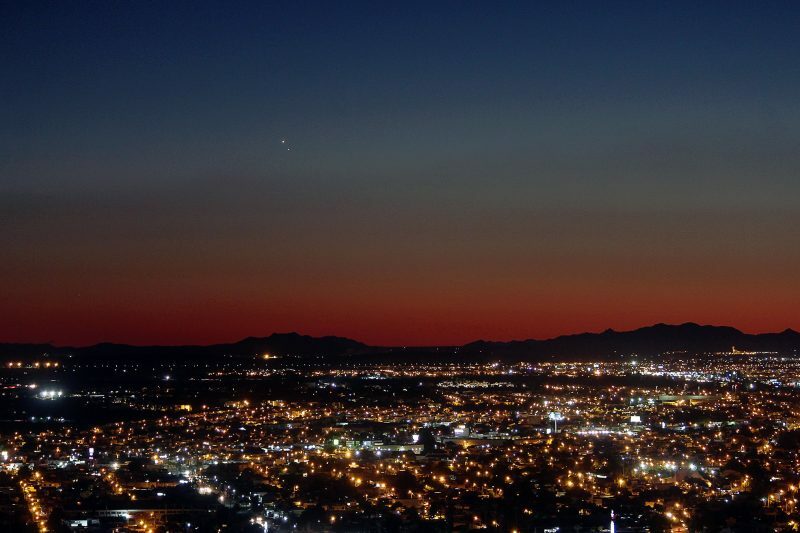 Here they are above Hermosillo, Mexico. 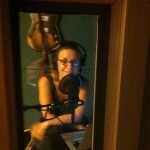 Photo by Hector Barrios. Mercury was up there, too. 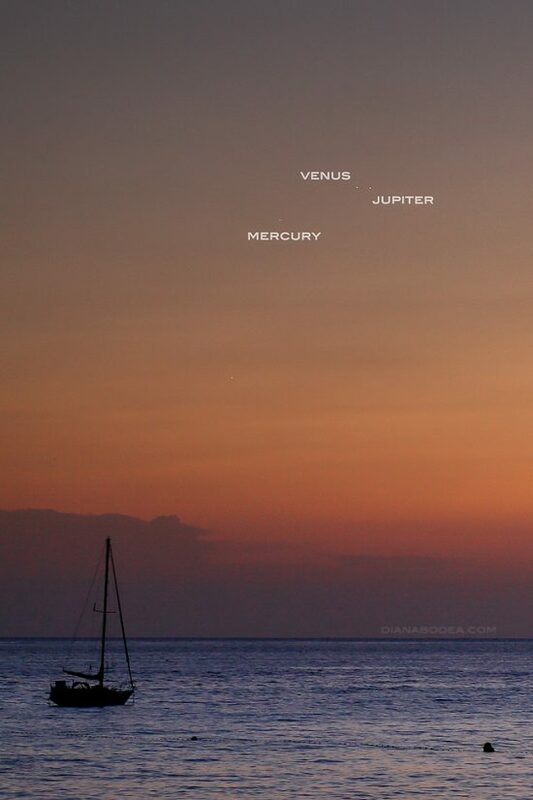 This image of the conjunction is from Diana Bodea in Ibiza, Spain. 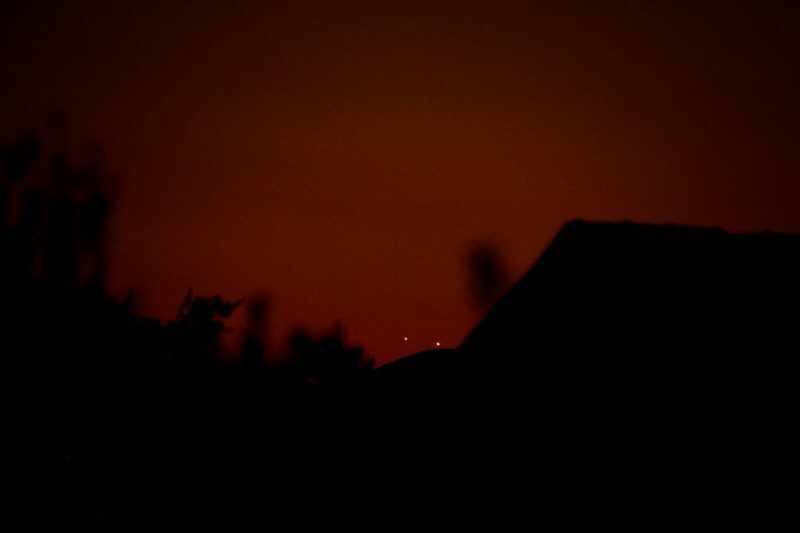 A slightly magnified view of Venus and Jupiter on August 27, as captured by Greg Hogan in Kathleen, Georgia. 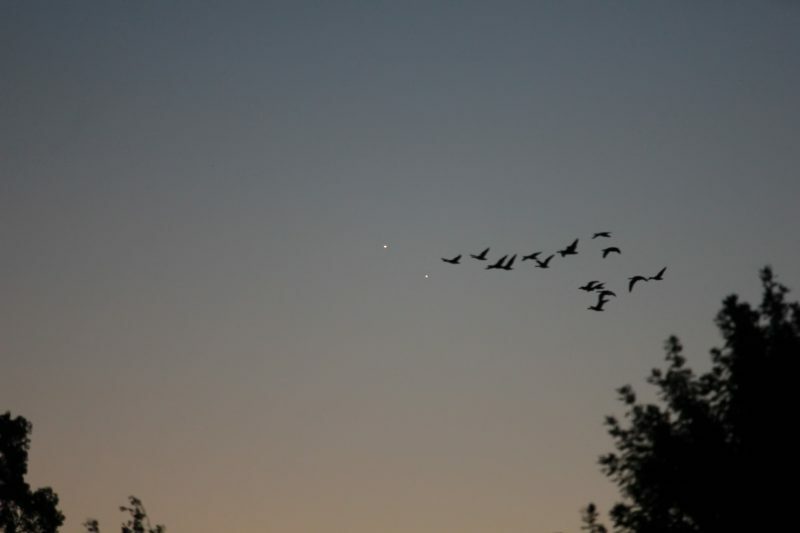 Lauren Sobkoviak in Redmond, Oregon caught a block of geese flying in front of the planets on August 27. 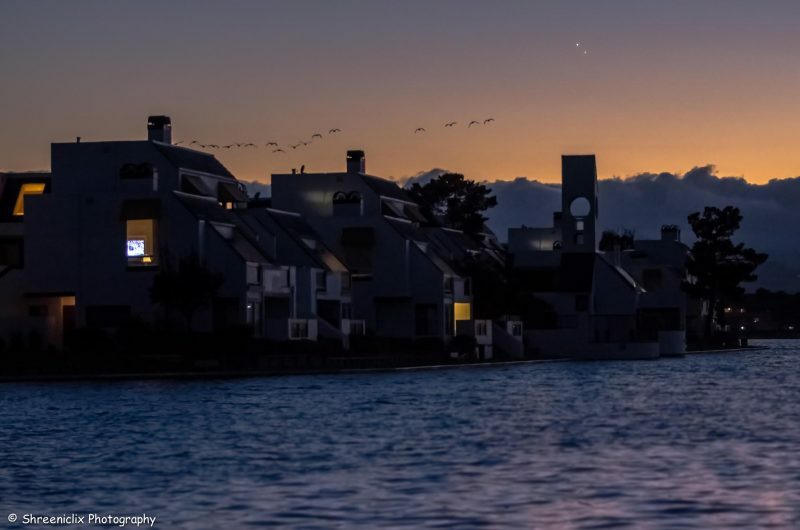 Farther south along the Pacific coast, Shreenivasan Manievannan caught geese flying in front of the planets, too. He was in Foster City, California. 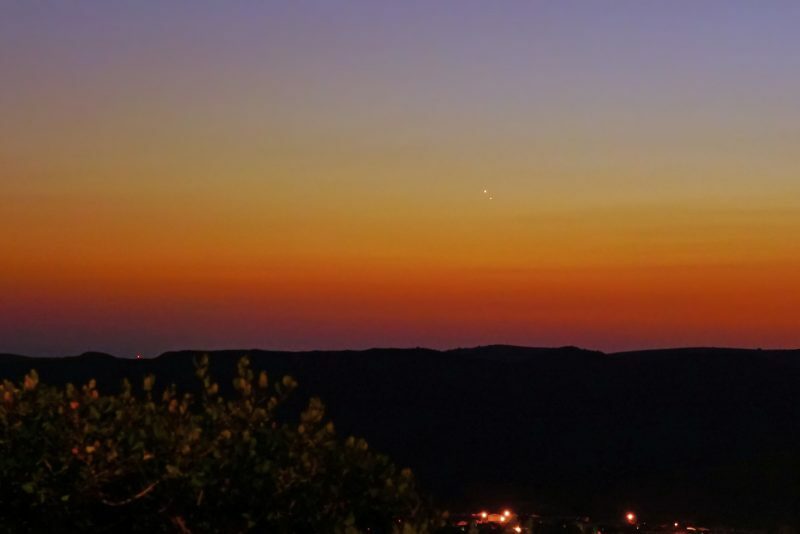 Helio C. Vital in Rio de Janeiro, Brazil.” width=”800″ height=”600″ class=”size-full wp-image-247113″ /> The Venus-Jupiter conjunction from Helio C. Vital in Saquarema, a small coastal city not far from Rio de Janeiro, Brazil. 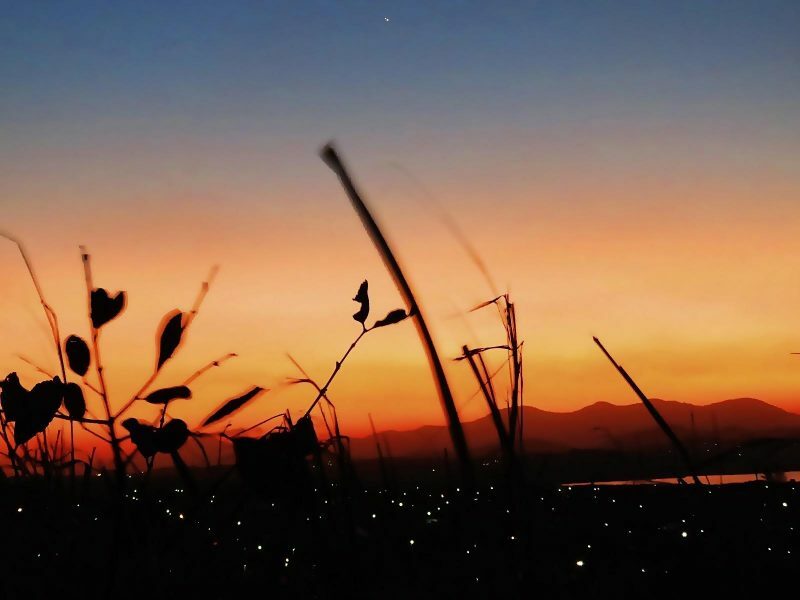 Venus and Jupiter on the night of the conjunction – August 27 – as captured by Andre Smith in South Africa. The fainter dot to one side is Mercury. Robert Pettengill was in Uvalde, Texas when he captured the images to make this composite. It consists of a total of 39 images and shows the relative sizes of the 2 planets as seen from Earth, as well as some of Jupiter’s moons. The wonderful video below is from Peter Lowenstein in Zimbabwe. 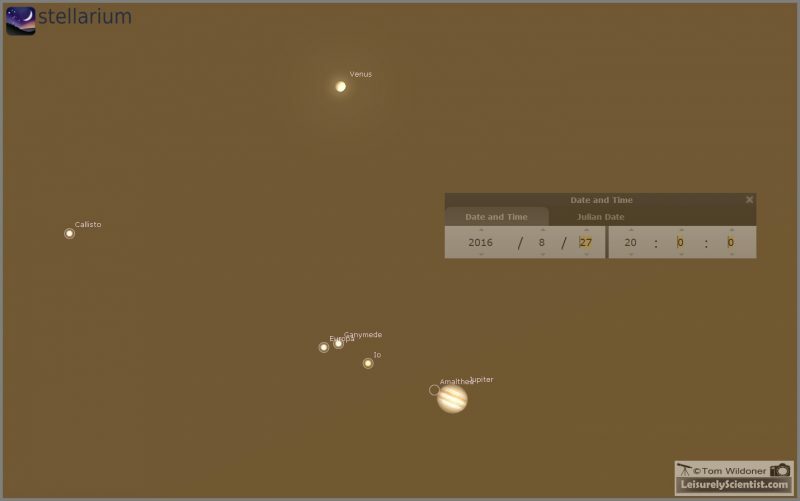 It shows the movements of Jupiter, Mercury, Venus (and sometimes the moon) in the west after sunset, from the beginning of August to August 27. Thanks, Peter! 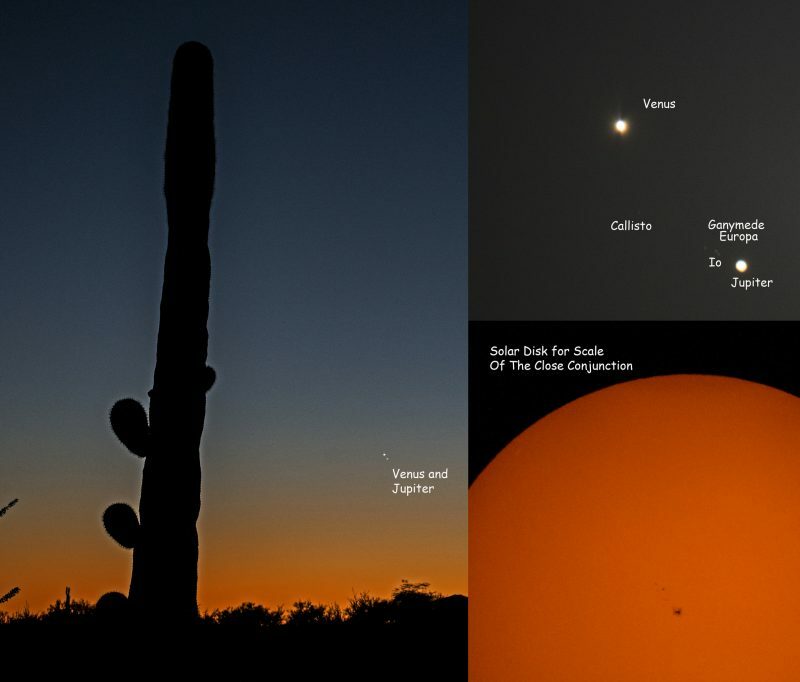 Eliot Herman in Tucson caught Venus and Jupiter on August 27. 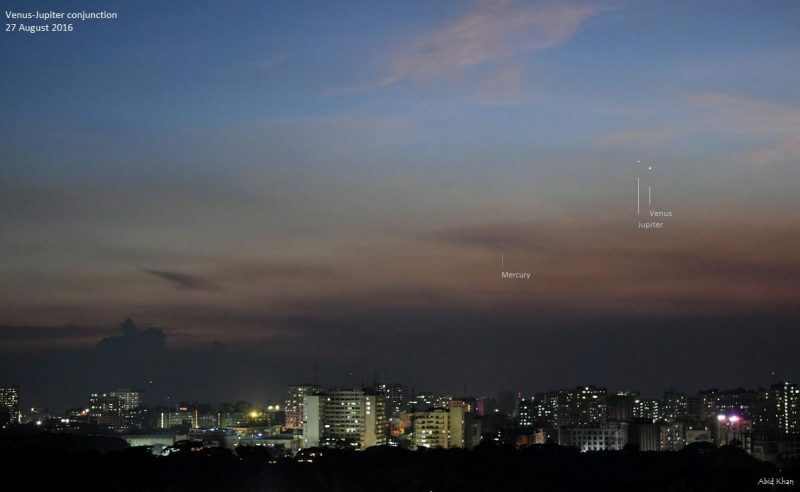 Here’s an awesome shot of the August 27, 2016 Venus and Jupiter conjunction, from Abid Khan in Bangladesh. 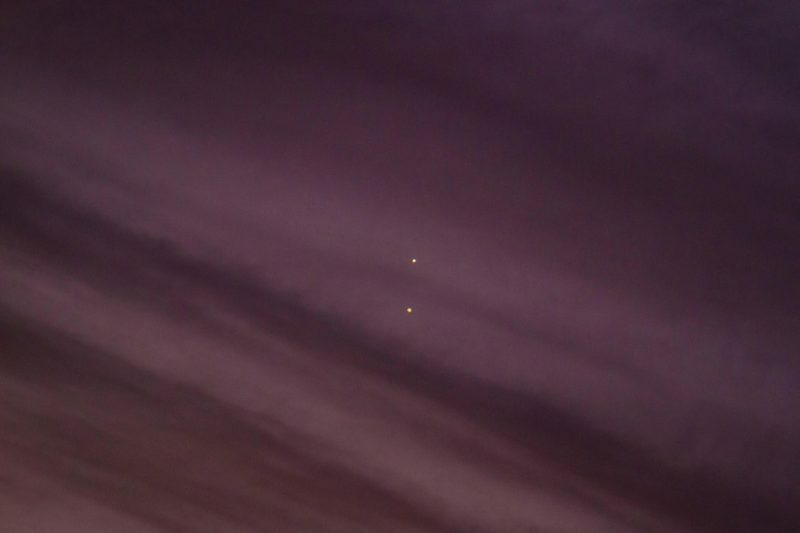 Venus and Jupiter over Oceanside, California from Dan Wyman. 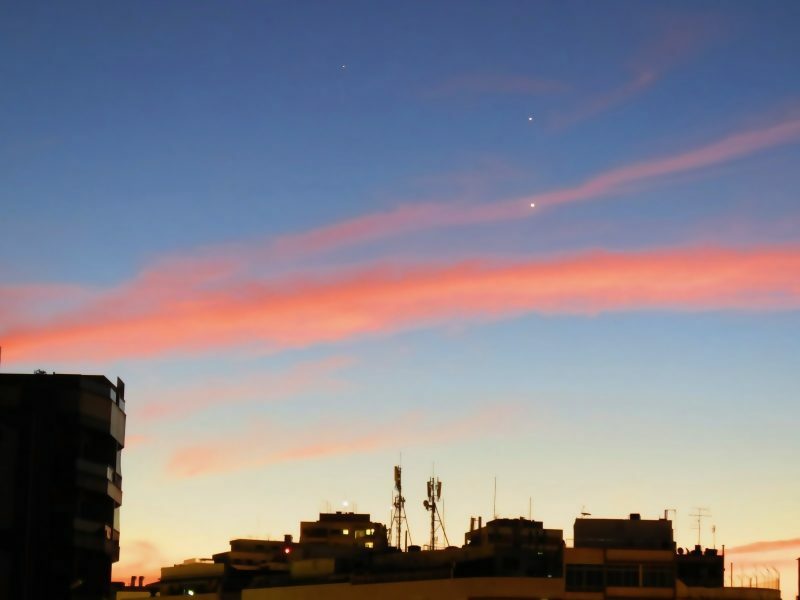 Venus and Jupiter on August 27 from Zakynthos, Greece, via Dennis Anastassiou. Stephen Marceau in Australia captured this image on August 27. Zavijava – aka Beta Virginis – is a star in the constellation Virgo. 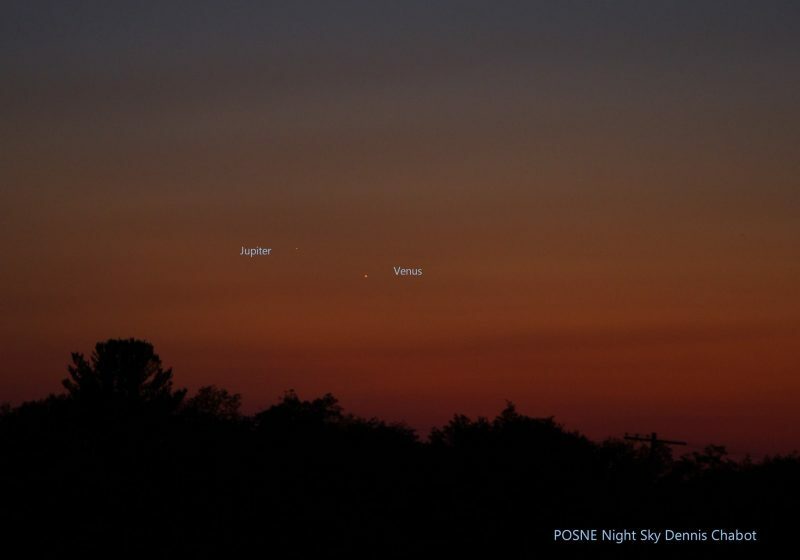 Dennis Chabot in Massachusetts caught Venus and Jupiter Friday evening, August 26, 2016. 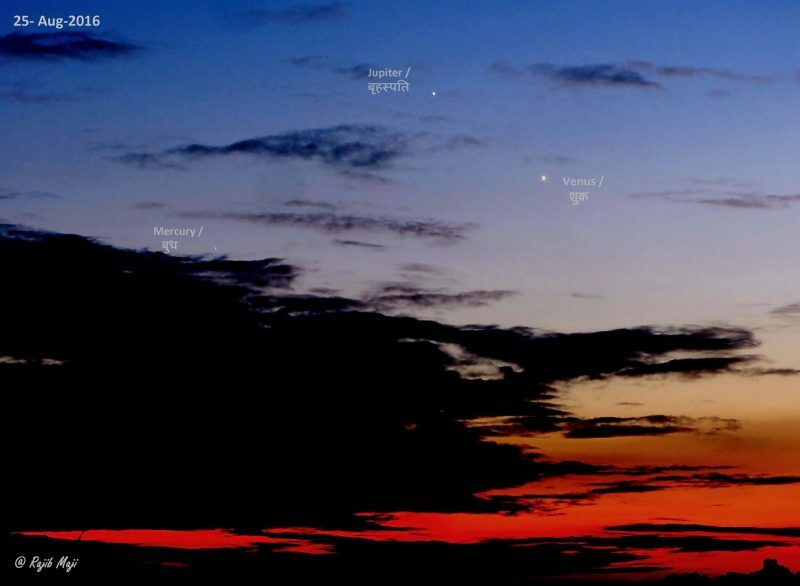 The planets are in the west shortly after sunset. 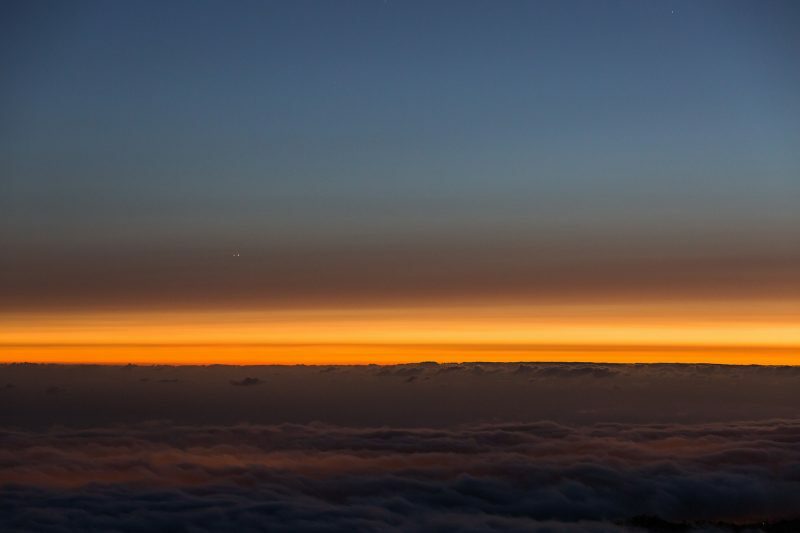 Venus and Jupiter will be toughest to see from Earth’s most northerly latitudes. But it’s still possible. 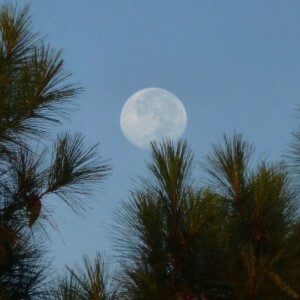 Here they are on August 26 from Steve Pond in England. 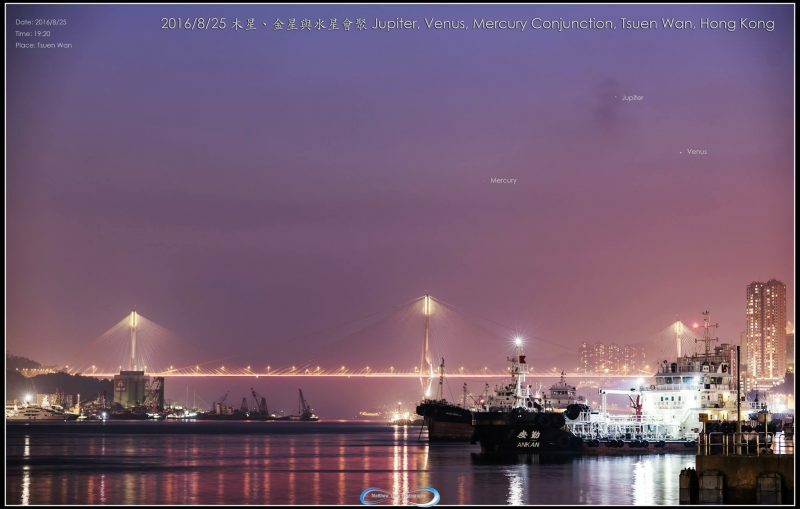 Matthew Chin in Hong Kong caught Venus and Jupiter on August 25. The planet Mercury is up there, too, but fainter. From northerly latitudes, it’s very hard to see. Still, it’s possible. 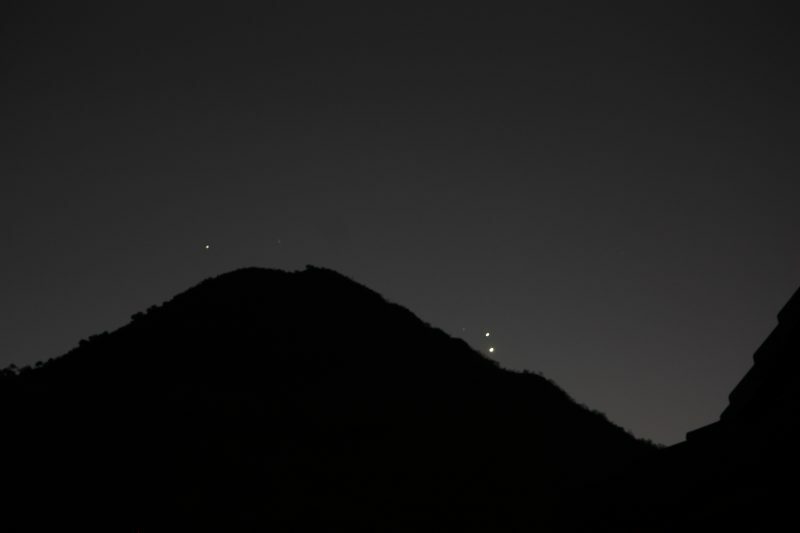 Rajib Maji caught Venus, Jupiter and Mercury on August 25 from Rawatbhata, Rajasthan, India. 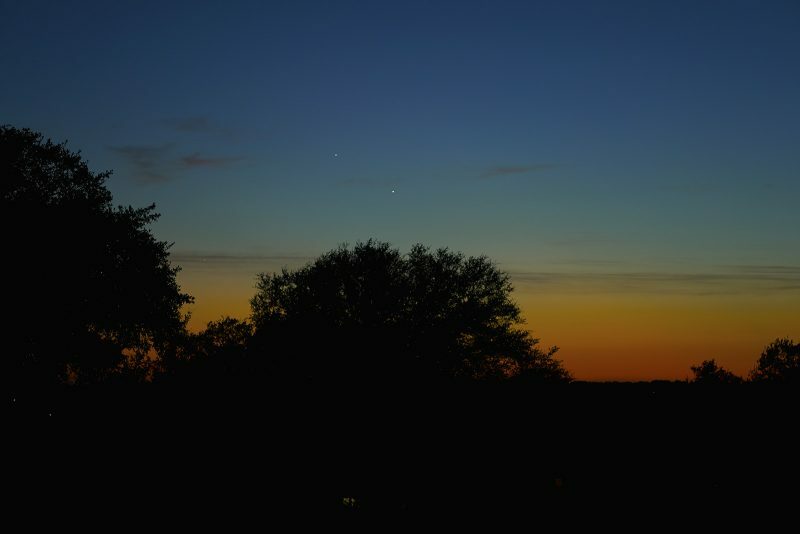 Bottom line: Photos from the EarthSky community of Venus and Jupiter – the sky’s two brightest planets – in the west after sunset. Their conjunction is August 27, 2016. Don’t miss them!